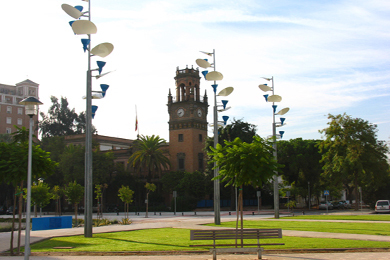 In 2007, Seville City Council commissioned the studio LBA Arquitectura y Urbanismo to remodel Paseo de las Delicias, with the aim of recovering the bank of the Guadalquivir for the enjoyment of its citizens. This is a promenade alongside the river close to the city's historical centre, but where the passer-by can escape from the noise and the bustle. 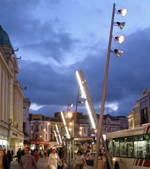 It is not in vain that the Streetlamps chosen to light up this promenade are the Lampelunas Streetlamp, designed by J.A. 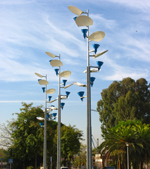 Martínez Lapeña and Elías Torres and the Sara Streetlamp, designed by Beth Galí, published by Santa & Cole. They fulfil their purpose at night: illumination. By day, they become sculptures which embellish and set apart the socialization of this space. 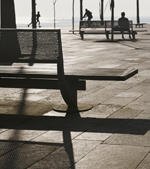 All along the promenade the Nu bench, designed by Jordi Henrich and Olga Tarrasó, invites you to take a rest from your stroll.